Weddings can bring out the best behavior in people and they can bring out the worst, especially in brides. There’s no doubt that planning a wedding is a stressful time for couples and sometimes their families and closest friends. And, because of that, people who love you are bound to give you a bit of slack. 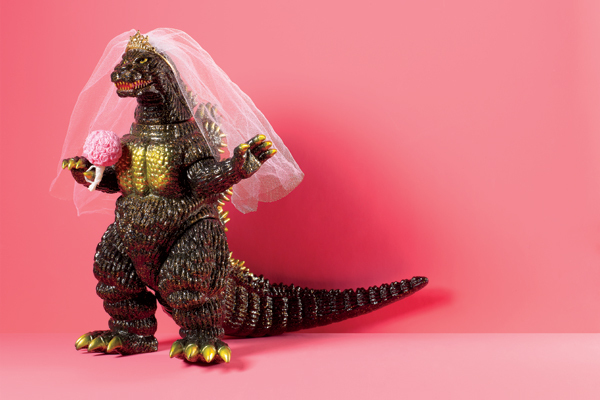 However, if you’re planning a Niagara Falls or Niagara-on-the-Lake wedding and everyone’s telling you they’re going to be in Vancouver the week you’re getting married, it’s time to examine whether you’re turning into a Bridezilla. Does it really matter if the tiny blossom in your hair will be exactly the same as the ones in the groomsmen’s boutonnières? Are you asking (read demanding) your entire bridal party to embark on a 15-day fast with you? How about sending a bridal party member a gift card with instructions to wax that upper lip? It’s perfectly reasonably to want to make sure your wedding is not only beautiful and special. However, it is bordering on the side of the ridiculous when you are trying to control everything and everyone. Understand that everyone wants what’s best for you on your wedding day and let go of a few of the reins. And remember, it’s okay to ask for help! Everyone knows stories about famous celebrities who demand sparkling mineral water from the slopes of the Alps to be in their dressing rooms prior to a performance. Or the actress who has 20 people catering to her every whim. Your bridesmaids and closest female relatives are certainly there to help you plan your wedding and throw you a shower and/or bachelorette party, but if you are going overboard and demanding more and more attention and expensive gifts, etc. then it’s time for a reality check. While it might be fun to jet away to Vegas for a weekend with the girls, that might not be in the budget for some of your wedding party members – especially if you’re expecting them to pay for your ticket. This is where things can quickly spiral out of control. And this is where having a wedding planner is crucial. Create a budget that both you and your fiancée can agree on. And that also goes for parents if they’re helping you to pay for the wedding. It’s not fair of you to go to your parents three months into the planning and ask for another $10,000 because you want more, more and more. As well, you want to be fiscally responsible as you plan a wedding. You don’t want to be paying for it for the next 10 years, nor do you want to cause a rift with your new spouse over money. A wedding planner can easily keep you in check. This might come as a surprise, but as you plan a wedding, the world keeps on turning. So, if someone asks you how your wedding plans are going, they might be genuinely interested in knowing some of the details, but they don’t want to hear a 20-minute rant about how the caterer won’t make a special pie from your childhood. As well, it’s important to stay connected to those closest to you, especially your groom. Though brides usually do most of the wedding planning, make sure you continue to include him in the process as it moves along. And don’t neglect your family and friends. They still want to hang out with you and grab a coffee – just keep the wedding talk to a minimum. In the days leading up to your wedding, you’ll be so busy that chances are you won’t be able to greet all of your out of town guests personally. But as the wedding guests arrive to Niagara Falls or Niagara-on-the-Lake, you can certainly have something waiting for them that will make them feel special and know how much you appreciate them coming to celebrate your special day. Putting together Niagara Falls wedding guest bags for your out of town guests is the perfect way to make your guests feel right at home here in Niagara. If you’re unsure of what to put in your wedding guest bags, we’ve listed some ideas for you below. In terms of what you want to put your items into, it’s entirely up to you. You can search out beautiful and trendy totes or use a basket or decorative re-usable plastic container. However, once you’ve put together an amazing welcome bag, you’ll need to get it to them. You can ship bags (or boxes) to your guests, but that will cost you. If you’ve got too many things to do before your wedding, assign someone to distribute the bags at the hotels your guests will be staying at. They can either hand out the bags personally as people arrive or you can arrange to have hotel staff place the bags in your guests’ rooms. Niagara Falls and Niagara-on-the-Lake are home to amazing and unique items, particularly tender fruits like peaches and cherries, award-winning wines and artisan breads and cheeses. Select something that is representative of the Niagara region to give your guests a flavour of our area. Make sure to ask Patti for some hints! No one wants to leave Niagara Falls without a souvenir, so do the legwork for your guests. Find Niagara Falls snow globes or other kitschy knick knacks or a pre-stamped postcard of the Falls they can send to a loved one who isn’t at the wedding. Let your guests know when and where things will be taking place. You can include a welcome letter and papers detailing maps, phone numbers, dress code information and contact information for someone in case they have questions. Make sure you delegate this responsibility to a member of your bridal party. You will be busy enough without fielding calls and texts about times and locations from your out of town guests. Wow! Where to start for Niagara Falls and Niagara-on-the-Lake guests! If you have out of town guests coming for your wedding, chances are they’ll come for a couple of days before or after the big day, giving them lots of opportunities to see Niagara Falls and Niagara-on-the-Lake sites. Include brochures, maps, discount coupons and other items in your wedding guest bags. And give them recommendations. Don’t just list Niagara Falls, suggest the Niagara Sky Wheel or Journey Behind the Falls. Also, include your favourite shopping destinations and restaurants and hints on where to get the best deals (sometimes, you can save a substantial amount if you dine outside the immediate Fallsview area). They will appreciate any insight you can give them on what’s best to see in Niagara Falls and Niagara-on-the-Lake. Make sure you have some refreshments included in your wedding guest bags, such as a bottle of Niagara wine or Niagara craft beer, as well as chips, other nibbles and pop and water. You want to keep your guests satisfied without sending them to the hotel gift shop. If you’re planning an outdoor wedding, include sunscreen or bug repellent, or perhaps include a decorative fan. Also plan for the day after the wedding by providing some hangover helpers, such as Advil or Tylenol, Alka-seltzer, or other emergency necessities, such as Band Aids, stain remover or mini sewing kits. Do you have a favourite book or magazine? Do you love to do crossword puzzles? Do you enjoy music? 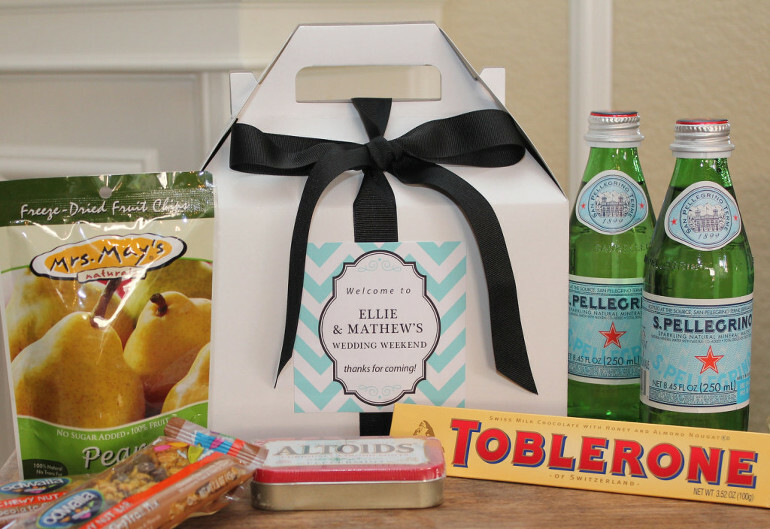 Why not include these items in your wedding guest kits? You can share your personality with your out of town guests and give them something to do while they’re just relaxing at the hotel room. Your guests know how much time you’ve already spent planning your wedding and they understand how busy you are. Including a handwritten note in your wedding guest bag is not only thoughtful, it’s a great way to show your guests how special they are and how much they mean to you and your fiancée. Niagara Falls wedding guest bags are a great choice! The wedding dance is often the first time a newlywed couple can let their hair down and just have fun on their wedding day. But you might want to put some special effort into preparing for this special part of the day. To make it individual, fun, exciting, and unique, you might want to plan for your first wedding dance by taking some wedding dance lessons. If you’re not a good dancer or have never danced before, don’t worry; you can learn to dance in a hurry with a few private lessons. The first step in preparing for your first dance is to select the perfect song – one that you both adore and are inspired by. Don’t just pick a song from the Internet or a wedding planning book! Picking a song and appropriate dance deserves its own treatment. Once you select a song, it won’t take long to get comfortable dancing to it. One approach is to just hold each other lovingly and sway to the music. But you might want to consider taking some private dance lessons from a local dance studio. A dance instructor will help you learn some easy dance steps that are appropriate to the music you love so well. If you want to go all out and potentially be a YouTube sensation, you can even have the dance instructor choreography an entire routine. If you want to pay for some private lessons, the cost will ultimately depend on how involved you want your dance (or routine) to be. If you simply need to feel comfortable moving together on the dance floor, then that’s a relatively easy proposition. But if you want to wow your guests and potentially end up on YouTube (or involve your entire wedding party), that is going to take numerous lessons, time and money. Some dance studios have a one-size-fits-all approach to wedding dance lessons. Be wary of this. Everyone has different dance abilities when they first begin. If you are a good dancer, you might not need as many lessons as someone who has two left feet. A good instructor will talk to you about your vision, listen to your song (or help you pick one if you haven’t already) and go through your options. Generally, if you pay for one to three lessons, you’ll be able to elegantly glide around the dance floor and incorporate a few basic steps. With four to six lessons, you will have learned the basics of a ballroom or other style of dance that best suits your song, you’ll have an entrance and exit and you might even be able to include a few “wow” moves. If you approach the 10 lessons mark, you’ll be able to do something unique and special with your dance, which will also be perfected. Or, you might choose to learn a second dance to perform at a later point in the reception. Whichever route you choose, the wedding dance is an exciting and fun part of your wedding day. If you’re looking for one more reason to take dance lessons, we’ll help you out: partner dancing can be extremely enjoyable. It can give the two of you something special to do together as a couple – even after your wedding! Congratulations! You’re getting married. Now you need to go wedding ring shopping for an engagement and/or wedding ring. You’ve likely seen many movies where the man spends a lot of time – and money – selecting the perfect engagement or wedding ring for his bride-to-be. But these days, purchasing engagement and wedding rings is often something a couple does together. We’ve compiled a checklist of things to think about before you head out to purchase your dream engagement and wedding rings. Tiffany Engagement Ring advertisement – Brilliant!! If you want a large stone and it doesn’t have to be a diamond, then consider a less expensive center gemstone, such as tourmaline, blue topaz, ruby or sapphire, flanked by smaller diamonds. For diamonds this means Carat, Clarity, Cut and Color. Carat refers to the weight of the diamond and clarity describes all the little details that can be seen when magnified. There are various colors of diamonds and the letter grades D-Z reflect those shades, while cut refers to the number, placement and shape of the diamond’s facets. Like everything else in life, you get what you pay for. Before you go out wedding ring shopping, get referrals from family and friends you trust. Shop around so you’ll know what you can expect to pay. And if it sounds too good to be true, it probably is. Your wedding cake is often the most exciting and beautiful component of your wedding reception, and nearly every guest will snap a picture of it – so why not turn a plain white wedding cake into a masterpiece by infusing a bit of color? While 50 years ago, it would have been unthinkable to display anything other than a white cake (with the exception of a fruit cake), these days you will want to use color to make it pop. You can make a dramatic statement with your cake, choose soft romantic colors, adorn your tiers with beautiful accouterments or include popular trends of the time. But using color will definitely make your cake exciting and reflective of your tastes for your wedding theme. Use one color to make a bold, luscious statement. If you like vibrant, deep colors, consider red, silver, gold or violet. Other exciting bold colors include turquoise, orange, fuchsia or even black. You can have your bold tiers stand alone or you can soften them by including a stencil pattern, monogram or flowers along the tiers. Nothing mirrors the romantic feel of a wedding than sweet and dainty pastel colors, such as lilac, pink, robin’s egg blue, pale yellow and peach. Not only can pastel cakes look elegant and regal, they can also be jazzed up to look funky. Select a base color for your tiers and then adorn them with floating cherry blossoms or daisies, either in a cascade or drifting pattern. Another idea is to create a two-dimensional calico print using hand-sculpted flowers, leaves and fruits. If you can’t decide on one color, then choose a different hue for each tier or go with stripes. If you select different colors on the outside, you can continue that pattern inside the cake as well, which is delightful for your guests. A twist on this idea is an ombre cake. Ombre literally means gradation in French and the effect is created by using a dark color at the bottom of the cake and, moving upwards, display lighter hues of the same shade. In textiles, a damask is a reversible figured fabric with a pattern formed by weaving. On wedding cakes, a damask pattern creates an opulent, visually stunning effect. Light blue and pink foundations provide for the most jaw dropping damask wedding cakes.